In addition to The Invention of Hugo Cabret, Brian Selznick is the illustrator of the Caldecott Honor winner, The Dinosaurs of Waterhouse Hawkins, and The New York Times Best Illustrated Walt Whitman: Words for America, both by Barbara Kerley, as well as the Sibert Honor Winner When Marian Sang, by Pam Muñoz Ryan, and numerous other celebrated picture books and novels. Brian has also worked as a set designer and a puppeteer. When he isn’t traveling to promote his work all over the world, he lives in San Diego, California, and Brooklyn, New York. 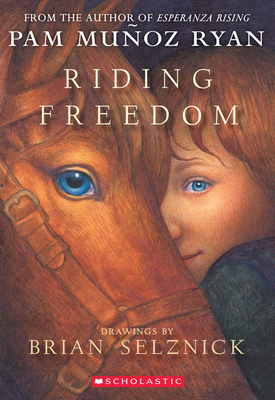 "Middle-schoolers will love the horse adventures and the stories of her trickery…"